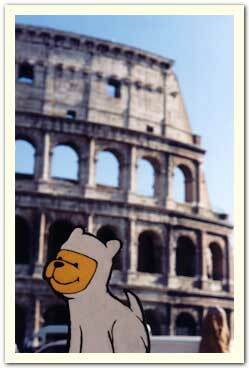 Bumperpup dreams of the days of gladiators in front of the Colosseum. March 2004. 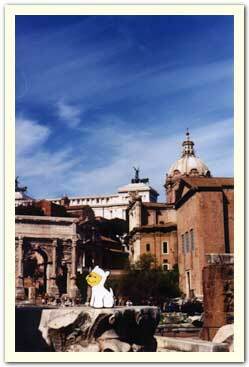 Photo taken by Debbie H.
Bumperpup poses on top of a fallen column in the Roman Forum. 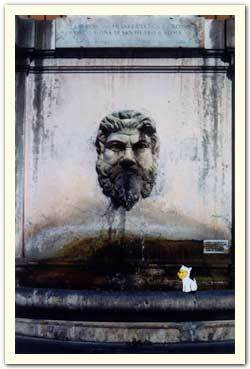 Bumperpup takes a quick sip from a fountain in the Vatican. 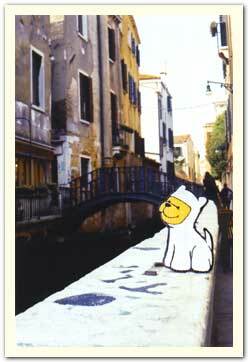 Bumperpup rests in front of one of the many bridges of Venice. 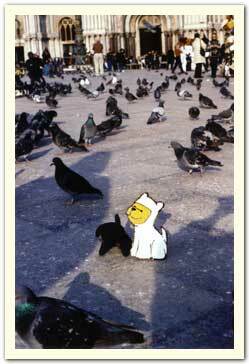 Bumperpup amongst the crowd of pigeons in Piazza San Marco.